We have a lot on our plates as classroom teachers. 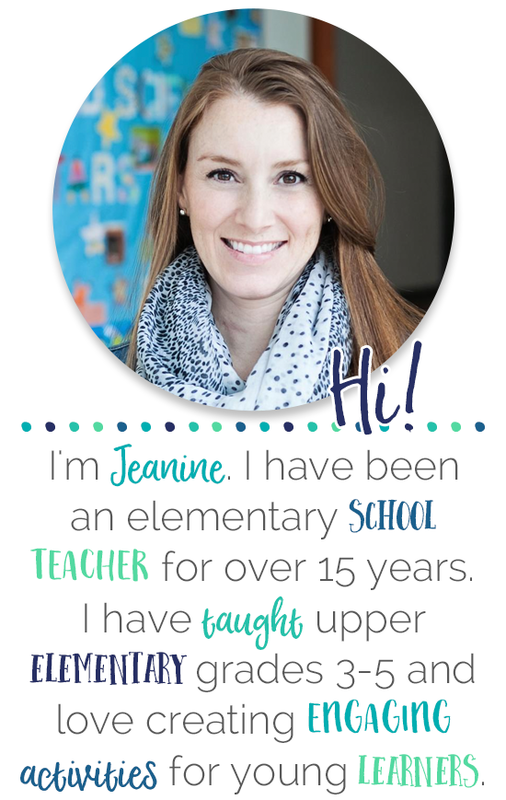 From teaching academics to social emotional development, each minute of our day is jam packed. Unfortunately, because of this, many times something has to be cut out of our day. Many times grammar lessons are the first thing to go! BUT....grammar instruction does not have to be removed from your day. 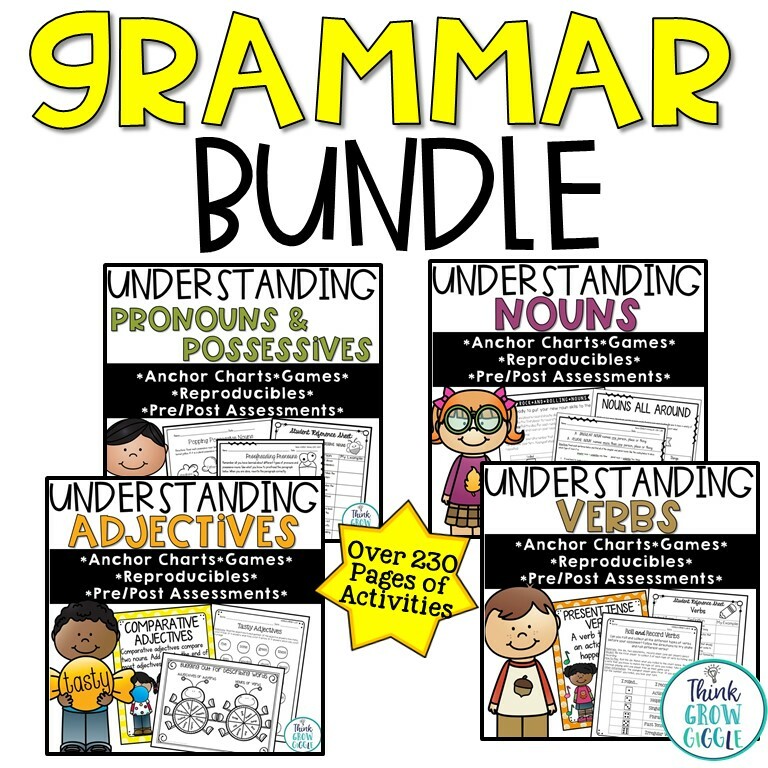 It is very easy to seamlessly infuse grammar lessons into activities that you are already doing! Morning message, white board message, note to students, however you begin your day, be sure to tie in some grammar practice. 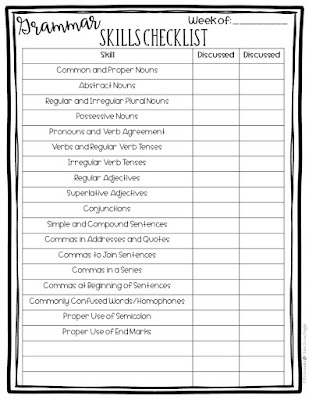 Some teachers write messages on the whiteboard, smart board, or chart paper, to students with intentional errors for students to find, and then use them as jumping board to discuss the grammatical errors and how to fix them. If you do not want to present your students with errors, you can present them with a correctly written message and call attention to a different form of grammar each day. By simply looking for the verbs, compound sentences, or correct punctuation use such as commas, you are creating an authentic mini-lesson to jump start your day. This is a great, no-prep way to discuss grammar each day. 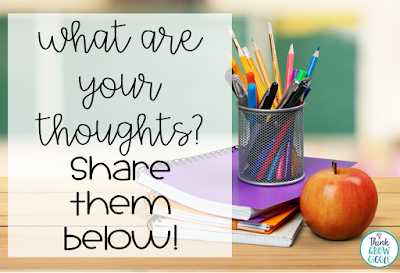 You can use this FREE checklist each week to make sure you address different skills during your morning messages and discussions. 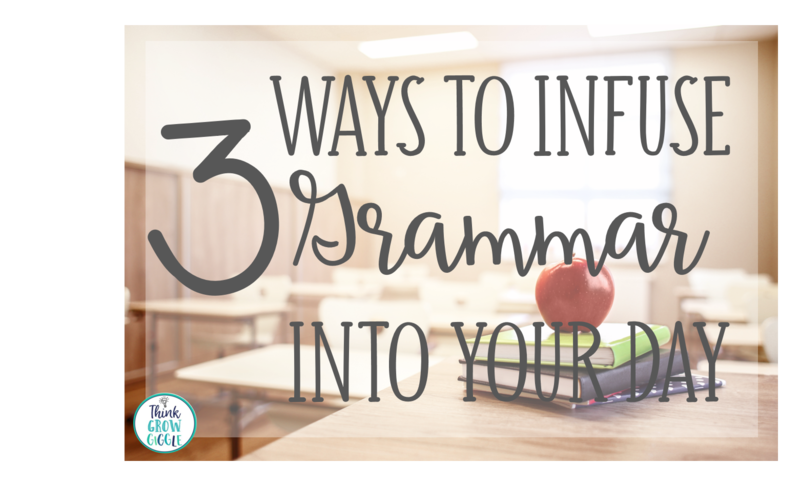 Another great way to bring in grammar instruction is during your writing lessons. 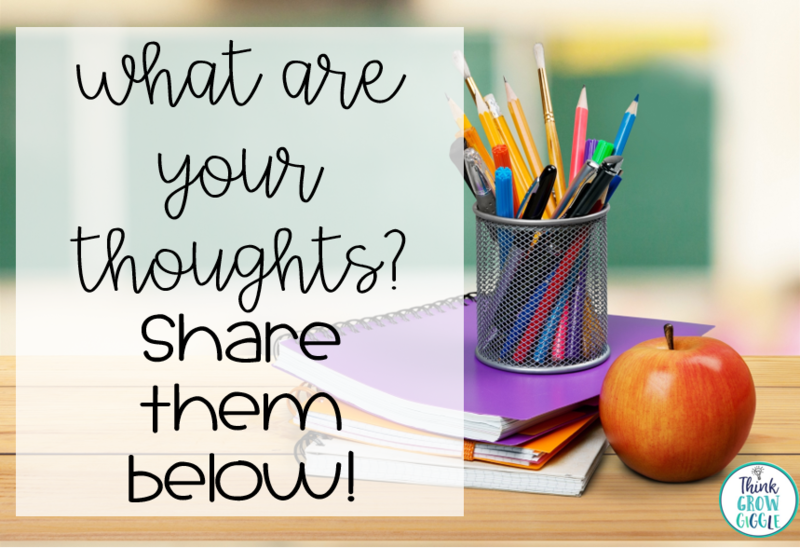 This can be whole group during mini-lessons, or individualized during student conferences. Once I read through the students writing, I look for common errors that most of my students are making. It might be the over use of commas, or incorrectly using the apostrophe in possessive nouns. Once I have identified what the focus of my grammar mini lesson will be, I ask students if I can use their writing for instructional purposes. Once I have their OK, I create a chart paper mock up of their writing. Together as a class we discuss how they can find, and then fix, their grammatical errors. Students are then sent back to their own writing pieces to find and fix any similar skill errors that they have found, or find examples of the skill used correctly to share with the class. 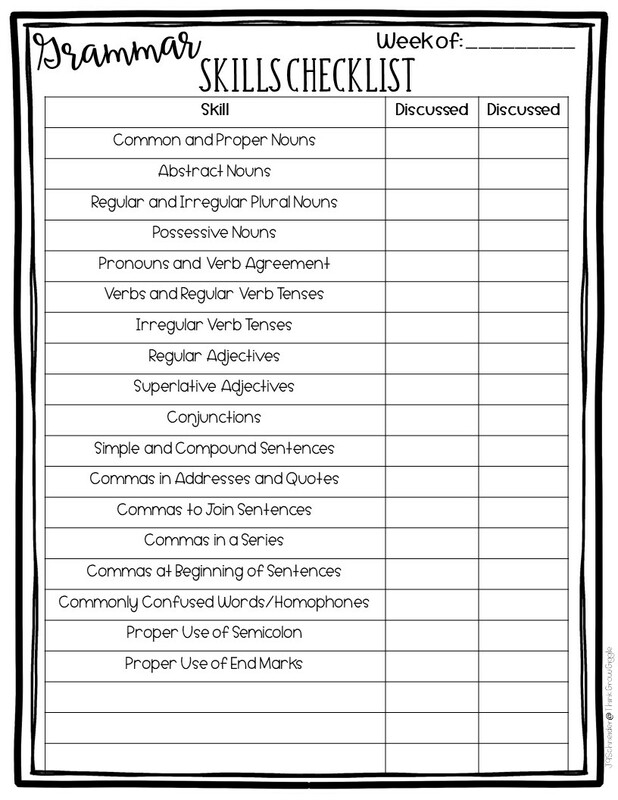 Again, this is a great way to get grammar instruction and discussions in your day with very little prep. 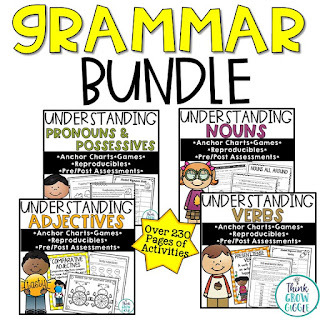 My favorite way to review and learn new grammar rules is to read grammar focused picture books! One book that focuses specifically on learning how punctuation is used is Semicolons, Cupcakes, and Cucumbers written by Steve Newberry. This book tells the tale of four friends with different personalities and “jobs” to do: Question Mark, Exclamation Mark, Period, and Comma. The reader follows them through their day, each wanting to do their own thing and commenting in different ways on their adventures. Just as the day becomes difficult for the four friends with different ideas about how to pass the time, a new friend appears! 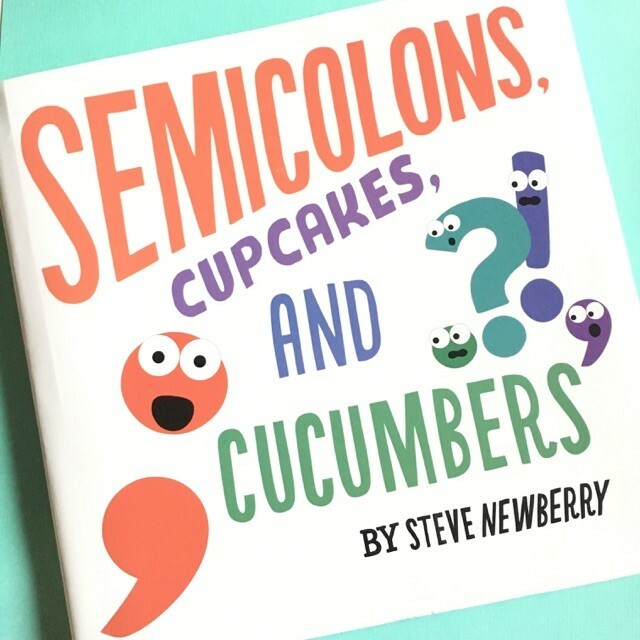 They all meet Semicolon, who shows them that friendship is better when they all join together. This is a great book to not only teach your students about the power of the semicolon, but also about friendship. I love reading picture books that serve double duty! This book is also a great reference book to leave in your classroom library for students to refer to for punctuation tips as they write and edit their own written work. 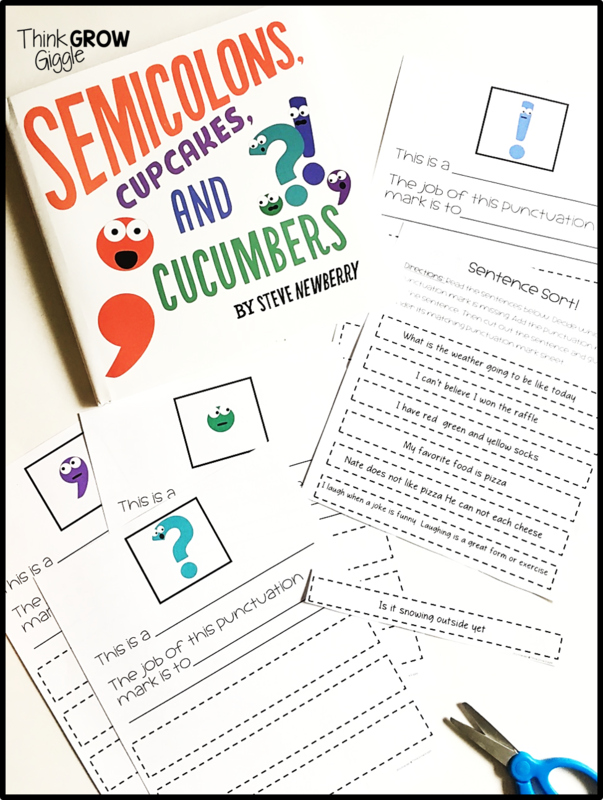 Use the links below to check out the BOOK and a FREE accompanying activity to use after you read this book! Looking for Traditional Grammar Practice? student writing folders, practice activity sheets, and engaging games, too. Learn something you want to use later? Pin this post!